The artist Aryan Kaganof has donated four cassette tapes to DOMUS, containing a previously unpublished interview with The Blue Notes double bassist, Johnny Dyani. 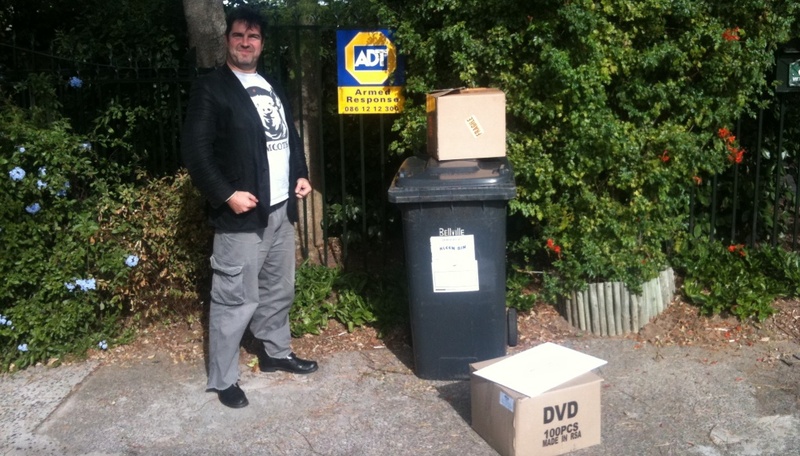 Kaganof, who was active in the anti- apartheid struggle in the Netherlands (where he earned renown as the award-winning film maker Ian Kerkhof), made the donation during his talk on Dyani at the Music and Exile Symposium in Johannesburg (27-28 January 2010). The Symposium was organized by former Stellenbosch University Masters student and current Unisa lecturer Stephanie Vos, and hosted by the Johannesburg Goethe Institute. Insisting that all recording equipment be switched off during his talk, Kaganof invoked the memory of Dyani (1945-1987) as a brilliant and unconventional musician. 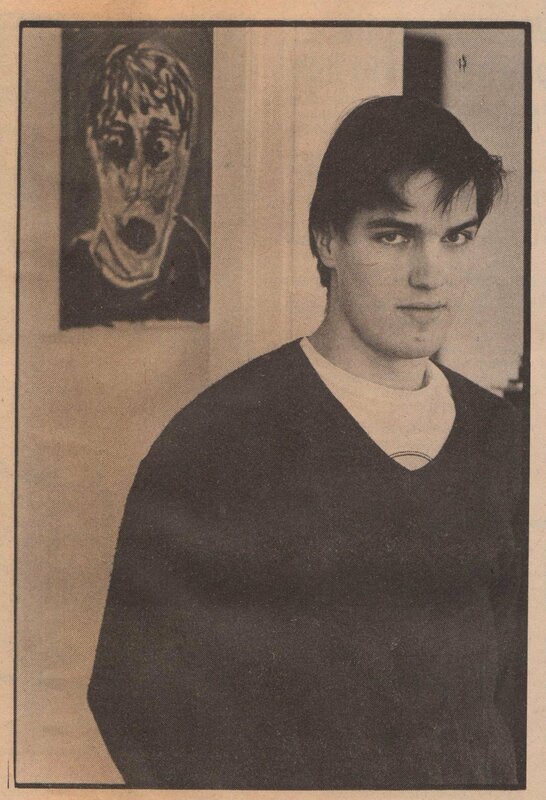 He recounted his introduction to Dyani’s music while the latter was living in exile in Sweden, their first contact and subsequent friendship, describing the tour he arranged for Dyani in The Netherlands. 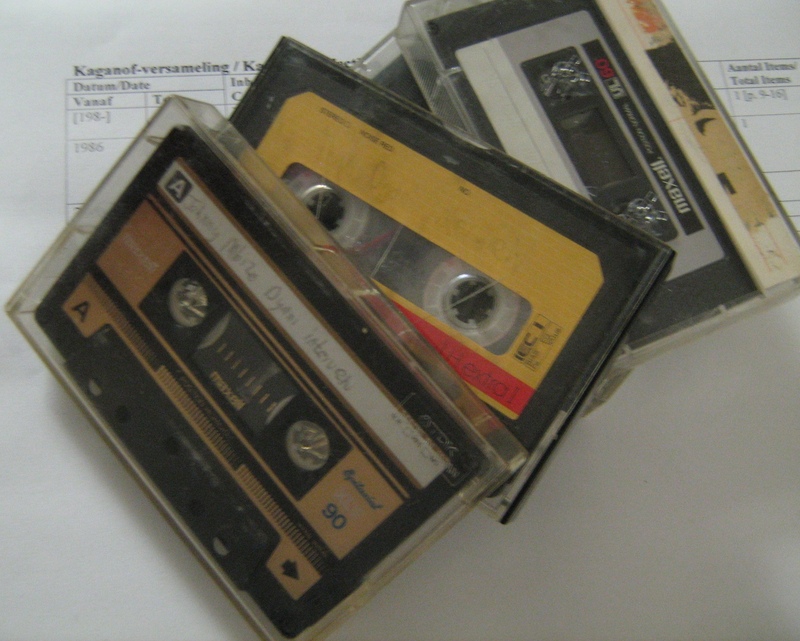 In a surprising and unscripted turn of events, Kaganof presented the tapes containing the interview to the head of DOMUS, Stephanus Muller, who was sitting in the audience. Kaganof asked delegates to reflect on what this donation to the historical intellectual home of apartheid revealed about the institutionally precarious state of South Africa’s musical heritage in general, but more specifically about the legacy of exiled musicians like Dyani. I was 19 years old when I left South Africa to avoid being conscripted into the apartheid army. My great passion was music and I had for a number of years been the head reviewer of the New Albums page of Scope magazine. It was only once outside of South Africa however, that I encountered for the first time the music of the jazz exiles, most notably of which, The Blue Notes. Blue Notes For Mongezi remains, for me, the most excoriating musical document ever produced by South African musicians. I fell in love with the singing tones of the bass on that album and started to hunt down every recording that I could find by that bass player whose name was Johnny Mbizo Dyani. By the end of 1985 I had a collection of about 40 albums which featured Johnny as a side man, as well as all of his albums as a leader. It was then that I happened to meet Lefifi Tladi, a South African in exile who had left the country after the student uprisings of 1976. Lefifi shared my passion for Johnny's soulful music and gave me Mbizo's phone number. "Call him", Lefifi said, "he'd appreciate that." Johnny was living in Malmo, Sweden, at the time, and his subtly melodic, occasionally rasping voice reminded me of his bass playing. We talked for hours on the phone and he ended by saying "Do something man, don't just tell me you like my music, do something!" 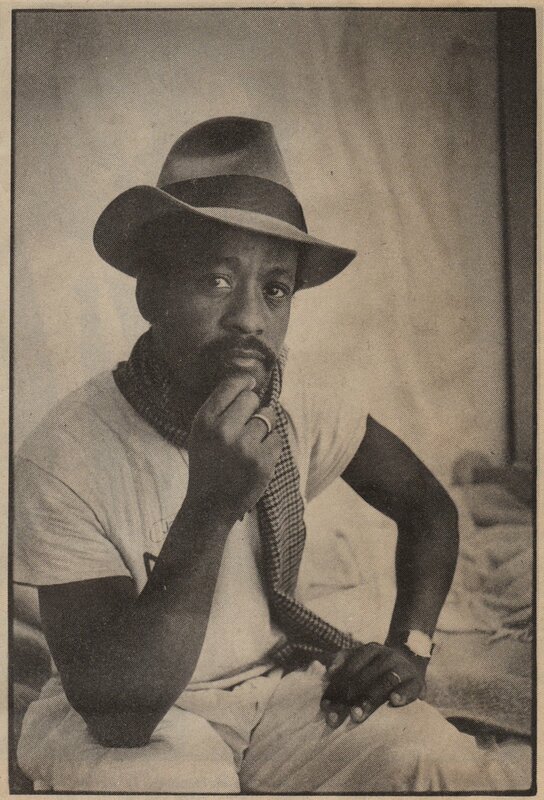 I was a very serious, literal-minded young man and so I organised a tour through Holland for Johnny and the Harlem-born percussionist Emmanuel Abdul Rahim, who was then living in Copenhagen. It was called the Radio Freedom Christmas tour and the money raised was used to buy studio equipment for the ANC's Radio Freedom broadcast stations in Tanzania and Zambia. Johnny was accompanied on the tour by a Ghanaian hi-life band [Kumbi Saleh], the Dutch reggae outfit Revelation Time, and British dub poet Benjamin Zephaniah. The tour was huge success, all the concerts well sold out and a lot of money was raised. Johnny and I decided to put together a group consisting of South African exiles as well as the cream of players still in the country. From the offices of the Dutch Anti-Apartheid Movement (where I was working at the time) we phoned Barney Rachabane and Winston Mankunku Ngozi. They were both excited by the prospect of coming out to Europe to tour with Johnny's exile band. Tete Mbambisa would be the piano player. Then Johnny suddenly died onstage in 1987. His liver gave way. The contribution of Aryan Kaganof to the cultural realm of South Africa proceeds on many levels and in several different mediums. He is a poet, writer of novels, filmmaker and fine artist, as well as the administrator of the Kagablog, a prominent Web site where various types of social and cultural discourse are collected, distributed and expounded upon. Kaganof’s high level of involvement with a huge variety of South African art forms and discursive mediums is contained in the collection of data he has generously donated to the DOMUS archive. Kaganof’s work is specifically relevant to music discourse, as is revealed by his films on music-related topics such as The Legendary Syd Kitchen, Blues on a G-String, Reverie and Sharp Sharp: The Kwaito Story. This film festival comprises a selection of films by filmmaker, writer and artist, Aryan Kaganof and focuses on the role of music in his work. As part of the Woordfees, DOMUS will showcase twenty-one of Kaganof’s short- and full-length films which include documentaries on music genres such as kwaito, jazz and blues as well as films that explore the interaction between music, image and text. The festival is curated by Lizabé Lambrechts. 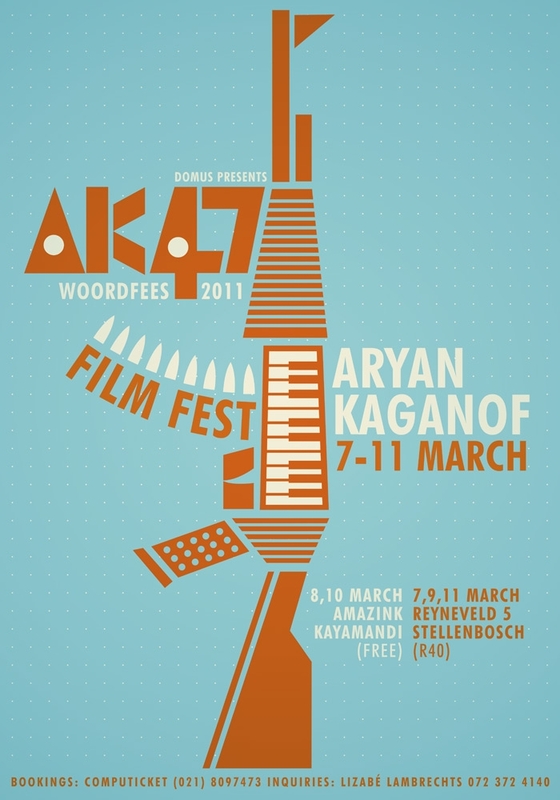 The film festival is taking place from 7-11 March in Stellenbosch and Kayamandi (5 Ryneveld Restaurant, Ryneveld Street, Stellenbosch and AmaZink Eatery, Kayamandi). As a writer, visual artists and filmmaker, Aryan Kaganof will also be discussing his work with Christo Doherty (head of the Wits Arts School) in terms of “Medium Specificity”, exploring how content is influenced and potentially altered by different mediums. This conversation will take place on 7 March at 14:00 in the Boektent, Stellenbosch.